Kosovo is a new and partially recognized country that deserves to be explored. It counts 1.859.203 inhabitants and it is bordered by Macedonia and Albania to the south, Montenegro to the west and Serbia to the north and to the east. The largest city and the capital is Prishtina. The current borders of Kosovo were drawn when this new-born country was a part of Yugoslavia under the name of Autonomous Province of Kosovo and Metohija, and as an administrative division of Serbia. After the war in 1999, Kosovo stayed officially a part of Serbia, but it was ruled by the United Nations. 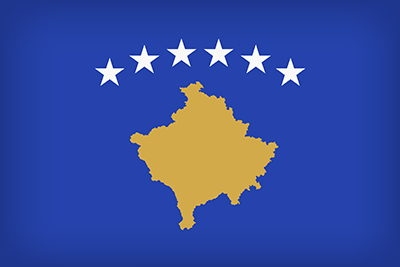 Kosovo self-declared its independence on 17th of February 2008. Since then, it gained diplomatic recognition as a sovereign state by 23 out of 28 EU countries. Serbia refuses to recognize Kosovo as a state because this country is the cradle of Serbian history and religion. The official language is Albanian because of the large majority of ethnic Albanians in the country (more than 90%), as well as Serbian. Kosovo does not have an official religion. When it was a part of Serbia, the Orthodox religion was predominant, but nowadays, most of the population consider themselves Muslim. The new republic has its own “Kosovo flag”. It is the map of the state in yellow and six white starts, representing the 6 biggest ethnic groups in the country. The cultural diversity, the historical turbulences including the modern history, the beauty of the Orthodox Serbian monasteries, the different points of view regarding this newborn country are the elements that make Kosovo interesting to be explored.